The amount of 4.02 USD has been deposited to your account. Accounts: U15797809->U6000445. Memo: API Payment. Withdraw to PBHYIPSINFO from Nexio Investment Limited.. Date: 15:26 24.08.18. Batch: 225726643. The amount of 4.02 USD has been deposited to your account. Accounts: U15797809->U4888473. Memo: API Payment. 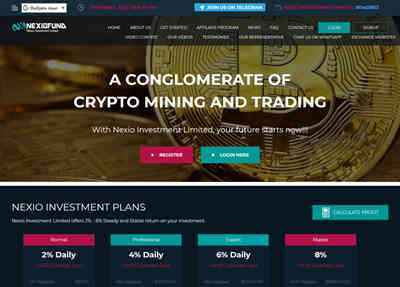 Withdraw to PBHYIPSINFO from Nexio Investment Limited.. Date: 15:07 26.08.18. Batch: 225910933. The amount of 4.02 USD has been deposited to your account. Accounts: U15797809->U4888473. Memo: API Payment. Withdraw to PBHYIPSINFO from Nexio Investment Limited.. Date: 17:04 27.08.18. Batch: 226026335.